​Since July 2017, questions have been asked about Chelsea's £60m signing of Alvaro Morata. Did they truly want him, or were they just forced to settle for the most easily available option? The club sat back and watched ​Manchester United move to sign ​Romelu Lukaku, making an embarrassing last-minute plea to bring the Belgian back to Stamford Bridge. After failing with that offer, ​Chelsea opted to sign ​Morata. After missing out on Lukaku, Chelsea felt the need to make a marquee signing, and they opted to spend £60m on a glorified ​Peter Crouch. Instead of Morata, Chelsea could have made a substantial offer for somebody like ​Edinson Cavani or ​Mauro Icardi - players who have proven themselves at the highest level, year after year. ​Pierre-Emerick Aubameyang was clearly available from ​Borussia Dortmund, and the Blues even still had ​Michy Batshuayi at the time. There was no logical reason for Chelsea to move for Morata, and they are suffering for their mistake now. Against ​Arsenal in January, Morata missed three phenomenal chances. Not just one, but three. 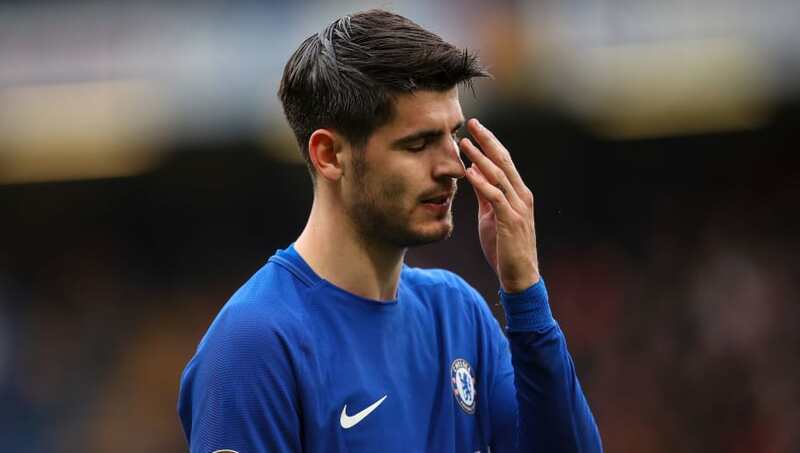 On three separate occasions, Chelsea fans were left begging for Morata to do his job, and he could not. Fans want to see Morata rediscover his goalscoring form, but all he has ever shown in England is that he knows how to head a ball. He's not ​Marouane Fellaini. He's Chelsea's starting striker. Quite simply, he needs to prove that he is a better footballer, or his Chelsea career will soon be over. The club brought in ​Olivier Giroud as they began to realise their mistake, but the damage was already done. Meanwhile, Michy Batshuayi was netting seven goals in ten games on loan at Borussia Dortmund, which is a better return than Morata managed during his prolific start to life in London.